Step into the world of tea and have a seat at our tea bar. Start by looking through the tea menu or ask us for suggestions (we love recommending teas!). Smells are free and can be one of the best ways to know if a tea is right for you. Still not sure? We can brew any of our teas ranging from 5oz sample cups to large to-go cups. Our cozy little tea bar can seat up to 7 people. And we also have a window bar that can seat 3 people. It is a great place to chat with an old friend or make new friends! All of our loose leaf teas can be brewed by the cup at the shop. If you want to taste a bunch of different teas, we recommend starting with 5oz sample cups at the tea bar. We also offer small and large to-go cups both hot and iced. Any of our loose leaf teas can be made into iced tea. We also offer a rotating Tea of the Day that is free to sample and is also available by the cup. 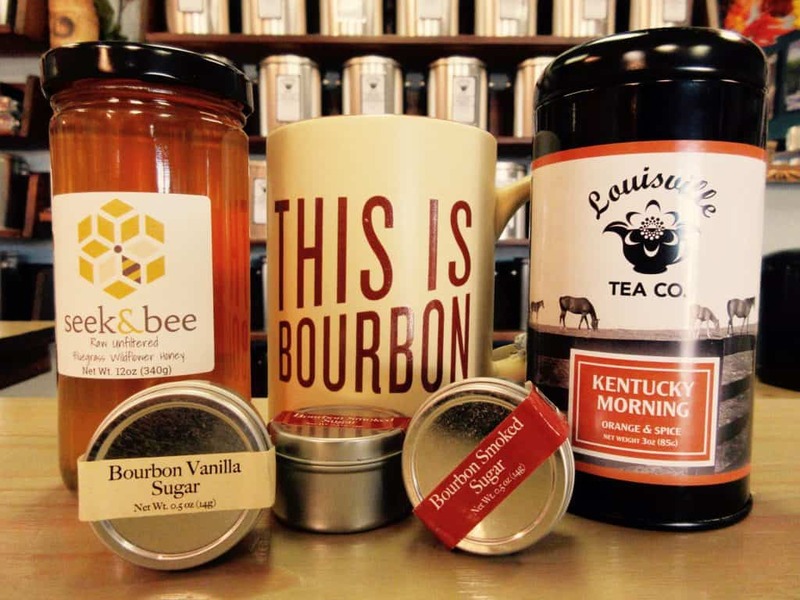 Louisville Tea Co also offers a line of specialty drinks that change seasonally. Year round favorites include the Chai Latte, Green Tea Latte, Rooibos Latte, and Blueberry Matcha. Matcha shots can be added to any drink or served at the tea bar. In addition to our tea bar, we have a eclectic gift shop that features everything tea. You can find all of your tea brewing essentials including tea infusers and strainers, teapots, teacups, and make-your-own teabags. You can also find some more unique tea items such as a tea wallet, tea incense, tea towels, tea stain artwork, tea postcards, and teapot earrings. Our products are always changing, so make sure to follow us on Facebook and Instagram to stay up to date. Our most popular gifts are our tea samplers. The samplers make a great gift for anyone who is new to tea. Some of the seasonal samplers include exclusive teas that are only available in those box sets. 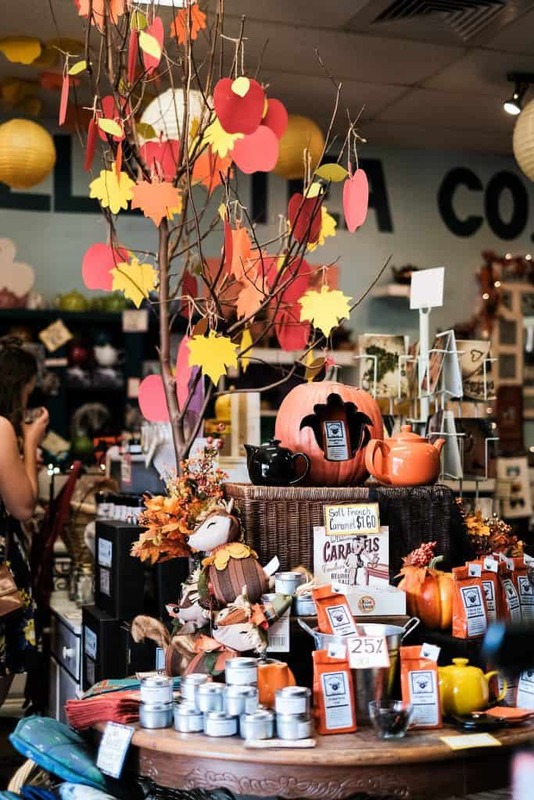 One of our favorite things to do at the shop is decorate for the season! We always have a new theme with new products and teas. Sometimes we will decorate for the obvious holiday like our Valentine’s Day Tea & Chocolate display, but other times we come up with a new theme like our Star Wars display or our Cherry Blossom Festival. These displays will often feature what we call a ‘Tabletop Tea’. These teas are only available at the shop and are not added to the menu or to the tea wall. So next time you are in, make sure to see what is new out on the gift floor! Events at the tea shop are great for trying new things, finding great deals, and most of all, for having fun! Our biggest annual event of the year is our Fall Tea Fest in October. We also always have an annual Holiday event in December and of course, Small Business Saturday. 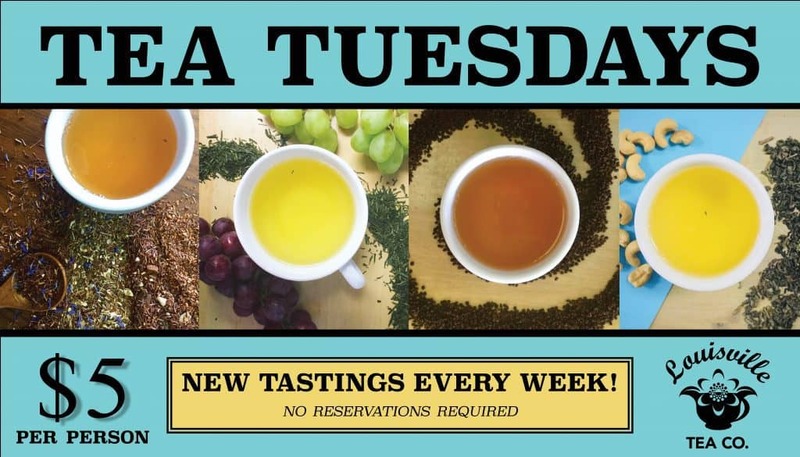 Always be on the look out for pop up events like New Tea Release Parties, special pairings like Tea & Chocolate Wednesdays in February, and more. An online event we love to do is our tea photo contests. Every February we have the Tea Love Photo contest in we have the TEA-cation photo contest in July. 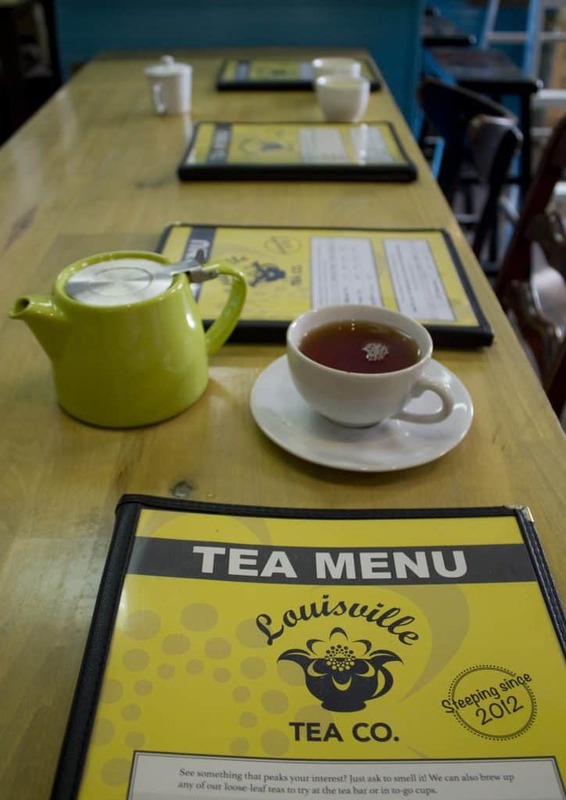 Louisville Tea Company opened its doors in 2012 and quickly established itself as Louisville’s go-to loose leaf tea shop. When coming up with the concept, we wanted to create a space where tea was the priority and not an after thought. We wanted a space where you could smell, taste and learn about high quality teas. Here you will find a no-nonsense tea attitude; we love tea simply because it tastes delicious and it makes you feel good. Tea is our happy place and we want to help you find yours! We are always happy to teach about teas and help you make the right choice with quality customer service. Stop in and talk tea with us! Nicolette first started working with tea in high school back in 2006 at Souvia in Phoenix, AZ. She then attended Stephens College to study and earn a degree in dance. However, her passion for tea continued through college as she sold tea from her dorm room, building a small reputation for herself. Due to injury, Nicolette had to change her career path after college. 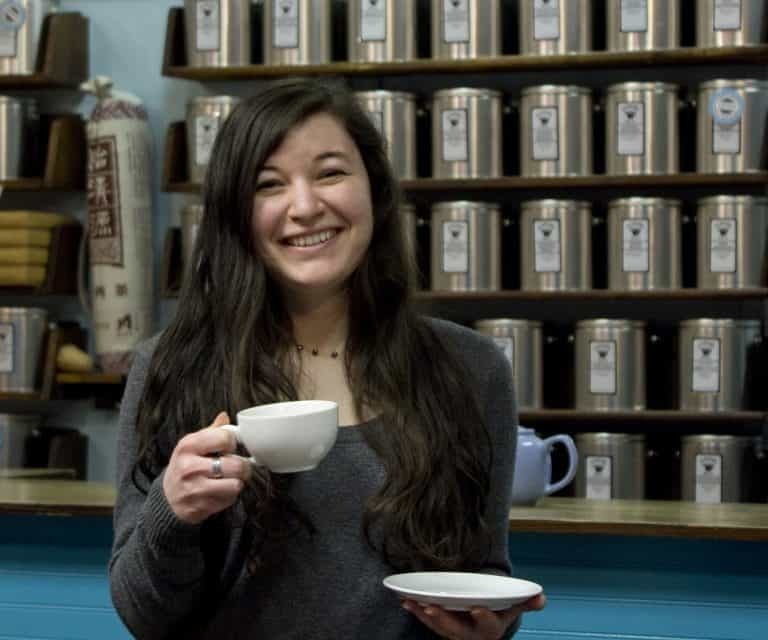 She moved to Louisville looking for a change and never forgot her tea roots. She is one of the founding members of Louisville Tea Company as well as Flying Cloud Tea & Gifts in Dunedin, Florida. For the two businesses, Nicolette specializes in photography, design, social media, events, tea blending, shop decor and theming, and of course tea tasting. She also loves to teach classes about tea and talk tea with anyone who wants to learn. Nick has always had a love of tea even before he really knew what it was. His favorites used to be iced green tea and hot chai, the Kroger variety. Once he learned the ways of loose leaf tea, there was no going back. He now has a refined palate that prefers dark oolongs and sweet grassy green teas. 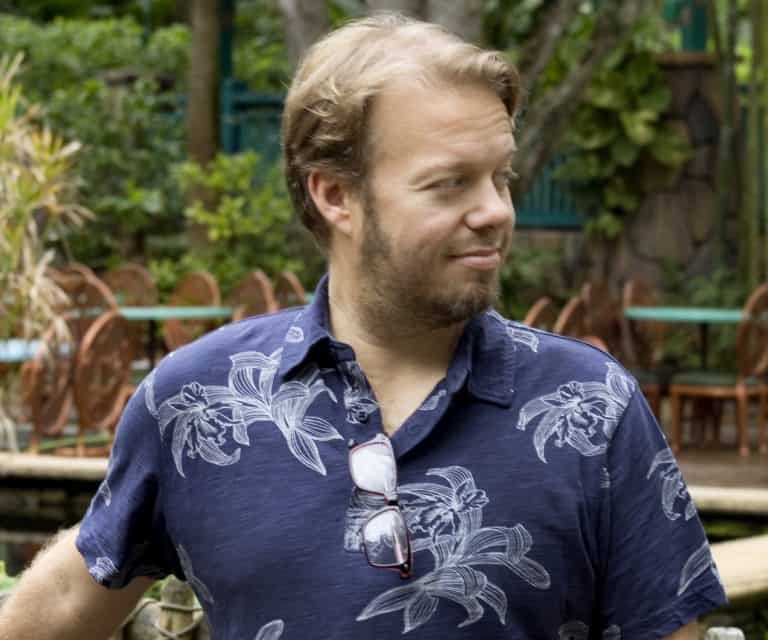 As a University of Louisville alumni, his degree in History lends itself to a fascination with the rich history of tea. 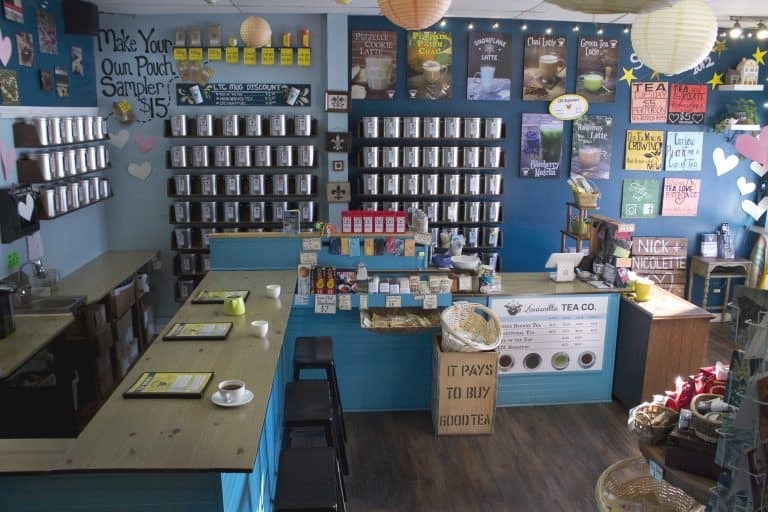 As a founding member of Louisville Tea Company and Flying Cloud Tea & Gifts, some of Nick’s skills include inventory management, purchasing, tea blending, various administrative work, maintenance and handy-work (he built the tea bar! ), and great maker of hot toddies (with bourbon, of course). Sophia started drinking tea with her older sister, Nicolette. They frequently went to the tea shop down the street from their house and enjoyed a pot of tea together. 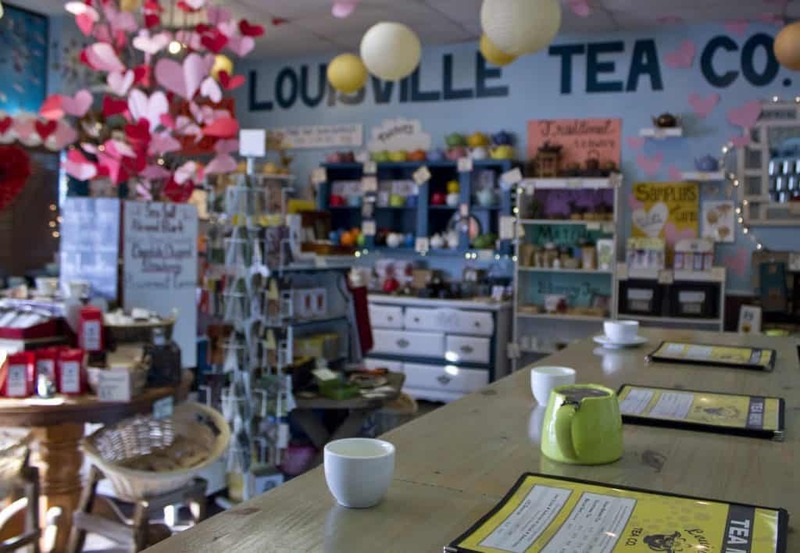 When Louisville Tea Company opened, she would stay in Louisville over the summers and learn the family business. In 2016, Sophia moved from her hometown of Phoenix, AZ to officially join the tea family. At the tea shop, her favorite thing to do is the focused tastings like Tea Tuesdays. She is also the shop’s resident artist, making store signage and selling various artwork. (@SophiaJane_Art) Her favorite teas include Tung Ting, Coconut Oolong, Cactus Blossom, and Black Gunpowder. Sarah had lots of exposure to tea growing up with her cousins Nicolette and Sophia. Unlike most cousins, Sarah and Sophia have been close since they were babies being born only a month apart. 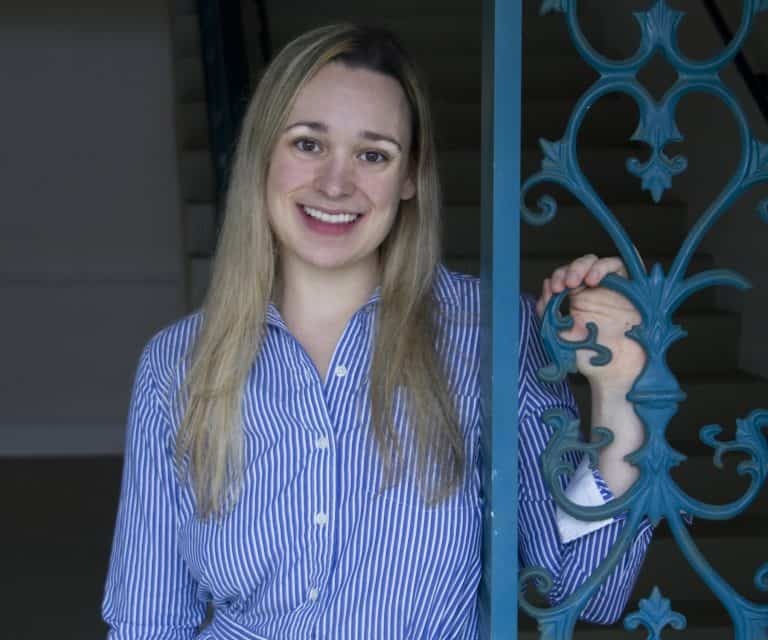 Sarah made the move the Louisville Tea Company in 2017 and has quickly become an essential part of the business. 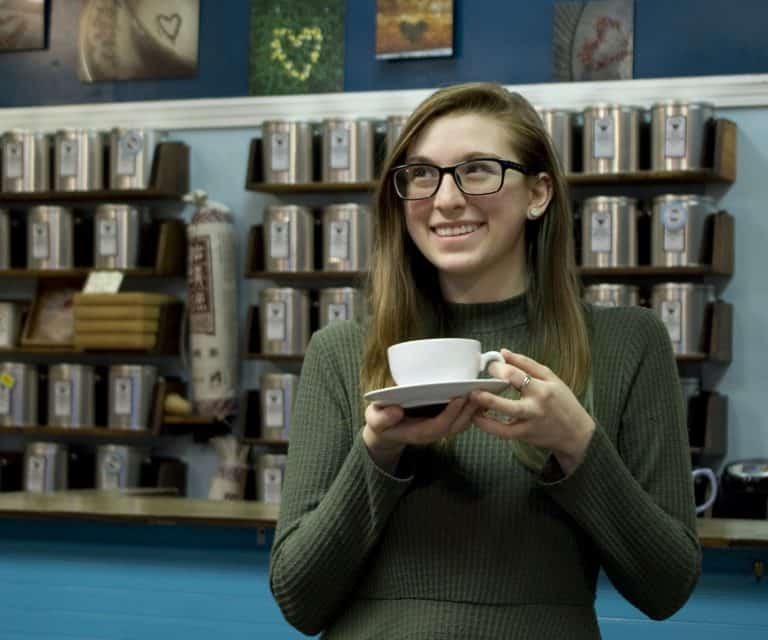 At the shop she specializes in tea blending, inventory management, and working with wholesale customers in the Louisville area. Her favorite teas include Black Pearl, Peaches n’ Cream, Malibu, and Kenilworth. In addition to tea, she also enjoys baking at home and creative writing.